Nadine is a certified Birth and Postpartum Doula with Doula Training Canada, as well as a certified Dancing for Birth Instructor and proud member of Evidence Based Birth. After fifteen years working in childcare, and her experience raising her own four daughters, she decided to bring her passion and knowledge to the Doula world in 2016 alongside her mother. They have been working as a unique mother-daughter team and helping educate and support parents in Durham Region and the GTA ever since. As a child and young adult, Nadine traveled extensively and resided in Mexico for nearly a decade. Nadine is proud to be able to offer her Doula services in French and Spanish and believes that better support during pregnancy, birth and postnatal periods creates stronger and healthier families. 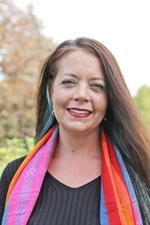 Nadine joins the AOD with the ambition of learning as much as she can so she can help other Doulas and further assist with growing this wonderful profession in Ontario.